The Southern Pacific and Chicago, Rock Island & Pacific (Rock Island) teamed up in the late 140s and field their own Chicago–Los Angeles streamliner named the Golden State, a long-running partnership between the two that dated to the early 20th century. It featured all lightweight equipment with fine on-board amenities. 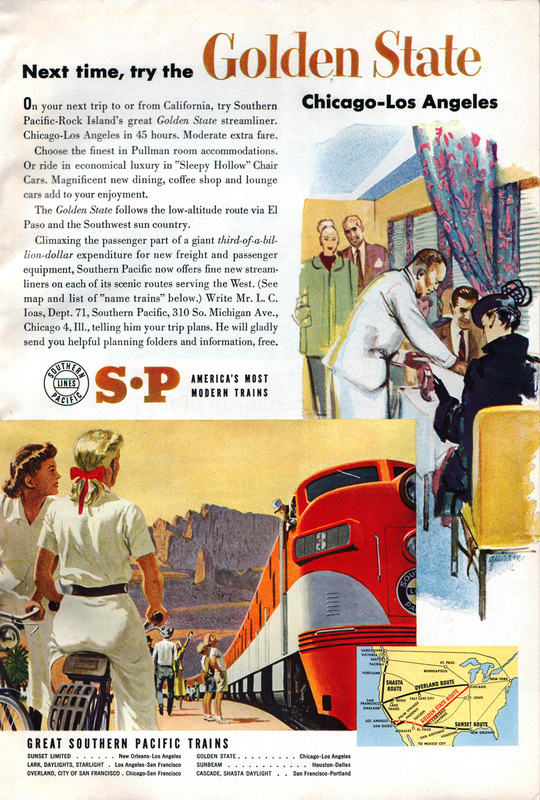 However, the train was never as well known as others in the hotly contested LA – Chicago corridor, traveling territory not nearly as scenic as that of the Super Chief, City of Los Angeles, and even the California Zephyr. As such, the Golden State had trouble effectively holding its own against the competition. Still, for twenty years it did its best in this cutthroat region until the Espee and Rock Island finally gave up on the train in the late 1960s. Today, both the Golden State and the railroads which hosted it are but a memory. The Golden State actually has its beginnings dating to 1902, then known as the Golden State Limited. The train ran seasonally, powered by traditional steam locomotives and carried standard, heavyweight cars. Back then, the Rock interchanged with the El Paso & North Eastern at Tucumcari, New Mexico via its Golden State Route. The EP&NE went on to become a subsidiary of the Southern Pacific, which connected with the former at El Paso, Texas along its Sunset Route. 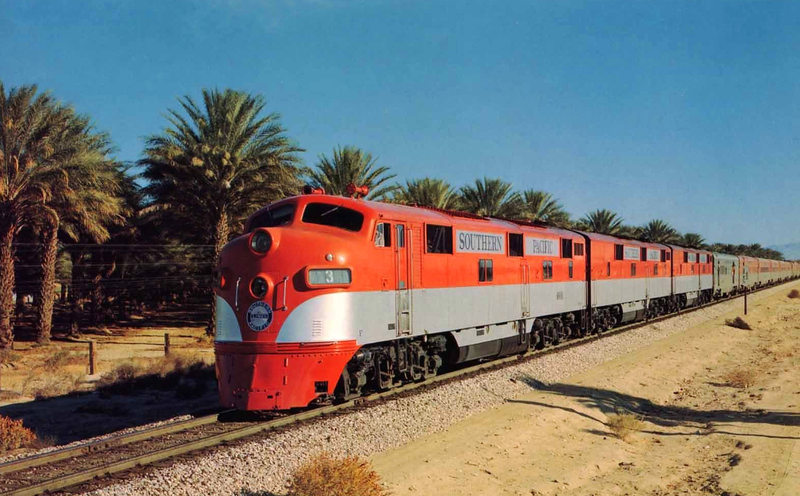 According to Mike Schafer and Joe Welsh's book, "Streamliners: History Of A Railroad Icon" the Golden State Limited had a tumultuous early career and wasn't always on the timetable. It remained a seasonal train until the 1930s when the two partners began upgrading its services adding a barber shop, valet, air-conditioning (then an entirely new technology), and showers. Just prior to the train's complete makeover it boasted its first lightweight equipment directly after World War II, receiving a 4-compartment/4-double bedroom/2-drawing room sleeper and a 6-section/6-roomette/4-double bedroom sleepers. Both were Pullman built and serviced. To further enhance the train Rock Island chipped in a trio of Budd lightweight diners. Hoping to more effectively compete against the Santa Fe and Union Pacific, Rock Island and SP decided to go all out and completely reequip the train, in the process remaining it as simply the Golden State. By early 1948 it was ready to roll and thanks to a strong marketing effort the train caught the public's attention. 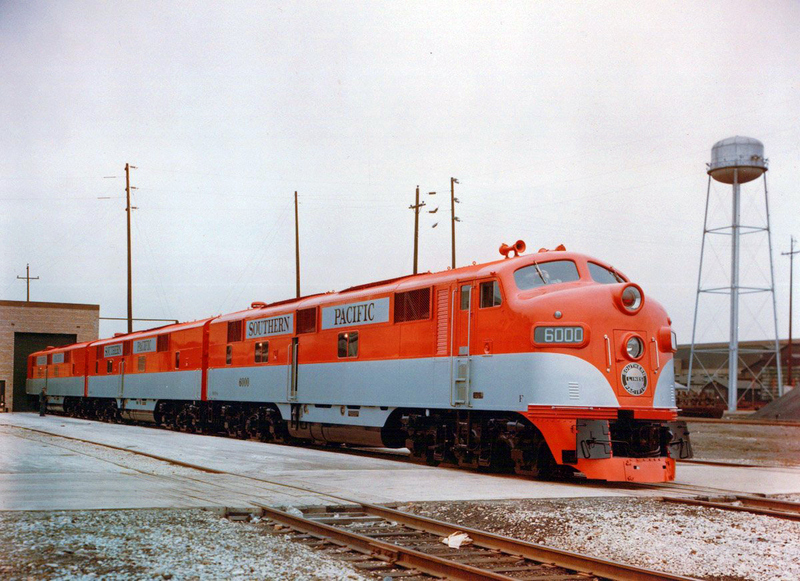 New equipment came from both Pullman and Budd along with a batch of lightweight cars from the never-launched Golden Rocket, another transcontinental train once planned by the two railroads. 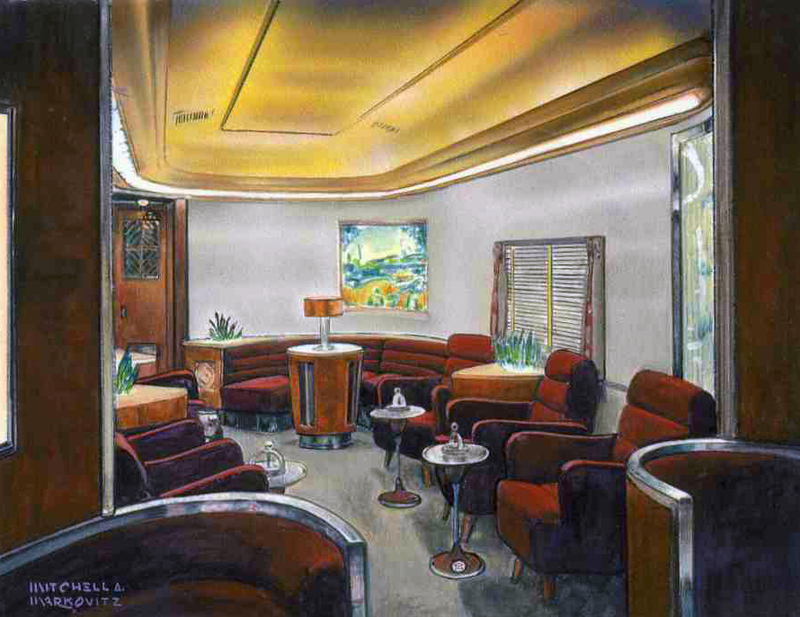 The upgraded Golden State boasted on-board features that included (along with air conditioning and showers) reclining seat coaches, diners, a coffee shop lounge-diner, club lounge, sleepers, and even a barbershop, running on a 45-hour schedule between Chicago and Los Angeles. It carried four sleepers; one between New York-Los Angeles, another serving Chicago-Phoenix, two from Chicago to Los Angeles, and finally one between St. Louis-Los Angeles. 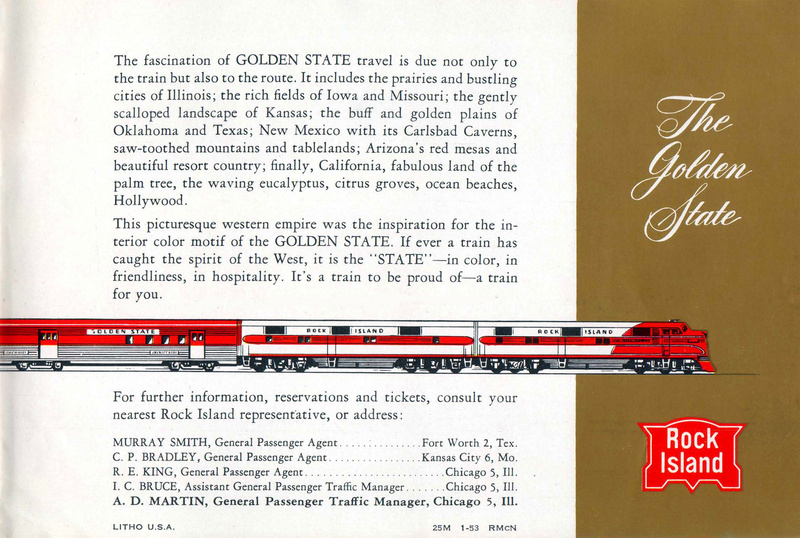 The Golden State also fielded its own special livery red/organ and silver, a scheme also worn by the Southern Pacific's locomotives (the Rock Island stuck with its "Rocket" scheme of crimson, silver, and white). It was quite a handsome train and certainly matched its competitors in regards to the services provided. Unfortunately, the streamliner lacked many things that made it difficult to effectively compete with its rivals: first, the it traveled through some of the blandest scenery in the west (flat deserts or farmland was virtually all one could see along the way) losing a valuable marketing opportunity to attract and retain, travelers; secondly, the train featured no Vista Domes or general dome cars to give patrons an impressive 360-degree panoramic view of what scenery was available; and thirdly, the Golden State simply could not offer schedules as fast as trains like the Super Chief (which could speed across the desert and Heartland between Chicago and Los Angeles in just over 39 hours). This last issue was partially the result of the Tucumcari connection although certainly not the main problem facing the train. 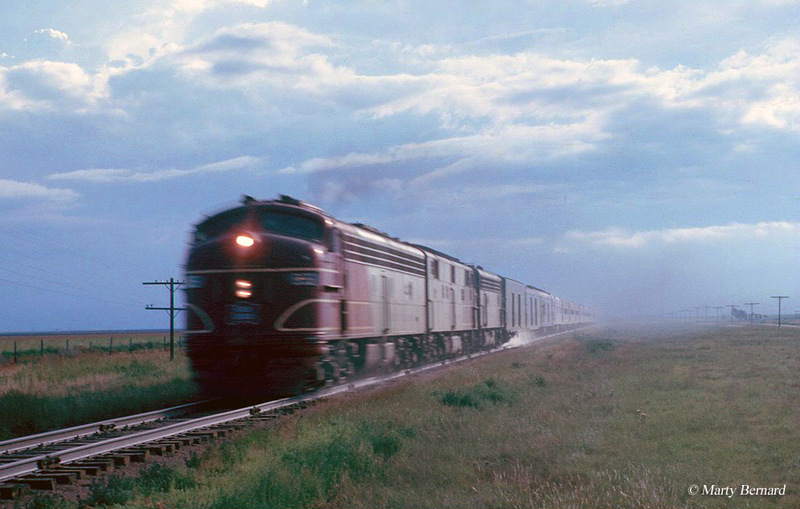 The streamliner's only true marketing ploy was its ability to provide through sleeper service to New York in conjunction with the Pennsylvania and New York Central railroads. It also offered available connecting service from St. Louis via Kansas City during the Rock Island portion of the trip (the Southern Pacific offered no such connecting services during its leg). Listed as Trains #3 (westbound) and #4 (eastbound) on the railroads' official timetable the Golden State would depart Chicago just after 10 pm and arrive at Tucumcari, New Mexico and the connection with the Southern Pacific by nearly 8 pm the next day. The SP would continue the train westward and into Los Angeles by just after 6 pm the following day. Considering the train had to make additional stops other western transcontinental trains did not it carried a respectable average train speed of 52 mph. For more historical reading and information pertaining to the train please click here. 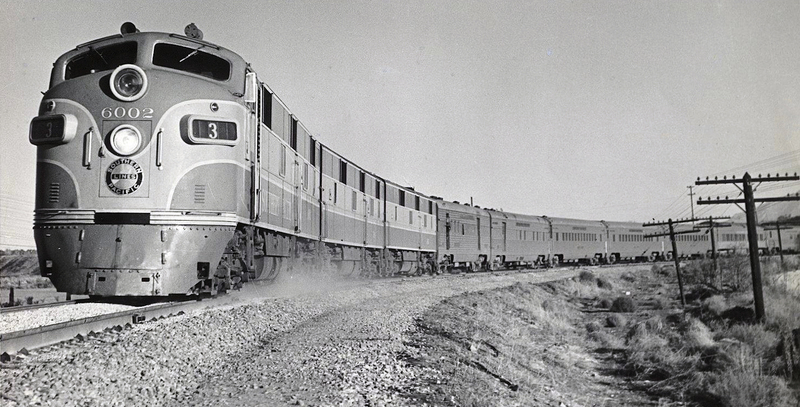 As patronage declined so did the service, which by the late 1960s included just a dismal few cars often being hauled by a banged-up Rock Island E-series diesel locomotive (the Rock Island itself was facing its own financial trouble during this time). As mentioned before, the SP and Rock Island came extremely close to launching a much more luxurious train that would have operated over the same route as the Golden State to fully compete with the Santa Fe, Union Pacific, and others with no expenses spared. The train was to be called the Golden Rocket and came so close to becoming a reality that the Rock actually had its consist delivered before the Southern Pacific backed out (which resulted in that equipment transferred to the Golden State). After years of declining service the train was discontinued during April of 1968.